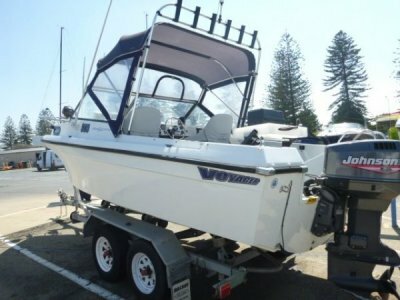 Voyager boats are an incredibly well built day boat perfect for fishing or cruising. The layout is perfect for hours of fun, although this boat was built in 1978 she is in exceptional condition. The engine was replaced in 1999 and has been serviced and looked after since that time. She has new covers and has a full boat cover to protect her when not in use. This boat is a must see on first impression I was very impressed there are years of fun still be had the over all condition is incredible.